Look. I sort of left without saying anything. And I think I owe this to you. I’ve (long since) moved on without you. I’m sorry, but there was just so much better beer for me out there. No, I’m not going to name names….well, ok…there’s this one brewery in Richmond. They do this Lockout Series – it’s really…good…stuff. Oh, I guess I shouldn’t say things like that. And yeah, I guess it’s pretty serious. I mean, you know how this sort of thing goes, right? I suppose I should also give that t-shirt back to you. You know, the one that I used to wear all the time – what did it say? It had the name of the county where you were from, and it said “More breweries than stoplights”. I loved that shirt. It made me think about how when I first met you, you seemed so down to earth. But you’ve become just like all the rest since that big payout. Bright lights, big city sort of thing, I guess. Truth is, I haven’t worn that shirt in years. I may have even washed the car with it once or twice…sorry. I’ll never forget getting a little “lost” in those light wisps of smoke in your Scottish ale, and how easy it was to get along with your Vienna lager in almost any situation. There was even that one time I enjoyed the IPA. Sure, maybe it was the time or the place, but it actually tasted pretty darn good. No, really, I’m not just saying that. I can’t hold it against you, really. I know many are saying you’re heading towards bigger and better things. It’s just that you’ve started hanging out with the wrong crowd is all. I’m not comfortable with them, even though every time they drink a beer, fireworks, rock bands, beaches, bonfires, or some other fabulous time just seems to happen out of nowhere. Everyone seems to be having a good time, but there’s something about it all that seems put on just for show. You used to love to say that you were part of the Virginia ‘heartland’. And like so many others who all seem as if they were so grounded in this craft beer community, I don’t feel like that matters any more. I think I get it now. Just like that t-shirt, it was all a marketing gimmick. I shouldn’t get so caught up in breweries that so closely align themselves with where they’re from. It’s silly, I guess. I’ve always wanted to cheer on the local places, but “local” seems as if it’s something to leverage nowadays, and nothing more. I’ll send back that t-shirt eventually. Oh, and I’ve got another one from that brewery in Asheville that I think you know. For what it’s worth, they burned me too. Pretty soon, it’ll be too chilly to wash the car anyhow. My father wasn’t a huge beer drinker. All the same, it wasn’t too terribly uncommon for there to be a few Miller High Life bottles in the fridge either, and if memory serves, we’re talking about those little ‘pony’ bottles too. Seven ounces of the Champagne of Beer, ice cold and drunk straight from the bottle – clear glass and all. …does the idea of a “go-to beer” exist at all inside the world of craft beer drinkers? At first, the idea of a “go-to” for a “craft” drinker seems relatively ludicrous. With so much diversity lurking within every craft drinkers’ fridge, the idea of a regularly imbibed beer seems about as foreign as finding something actually foreign among all the beer in there. Consider all the various ways we seek out all those different beers. Between the travelers and heavy traders, the purveyors of online beer stores, and the folks who will still try just about everything, the possibilities can be endless (even a beer with horseradish added). And even if you prefer your Porter without the addition of something which should be acceptable only on a roast beef sandwich, your local beer bars and stores will likely keep you entertained enough. Likeliest of all, most “craft” drinkers are a hybrid of all of the above. So after all that, what would possibly constitute a go-to within the craft world? And why might you even want one? First, a shot at a definition. Obviously, a “go-to” beer is one that has to be easily found. After all, it has a particular standard of availability to live up to. But I’d like to think such a beer is not just the convenient selection at the moment. It is not the one tap handle among the twenty five others at the concert venue which did not end with the word “Light” that at the least, you can put up with. No, I believe any go-to beer is something much more. It’s something you might seek out not just because it’s the only thing going. No, it aspires to be something much, much more than being simply convenient. When I think back Dad’s High Lifes, I believe that he picked them up with certain times in mind – while he was grilling burgers for the family, or even for a time as simple – but enjoyable for dad – as after mowing the lawn. I’m especially sure that I saw one being cracked open when the Braves game was just minutes away from coming on tv. When I think of the times that I saw those little clear bottles, I don’t think my dad was not only reaching for something good, I think he was going for a beer because the times were good. On the Fourth of July. Taking in a summer’s night on the porch. When the neighbors who we did like came over for a cookout. I think a “go-to” beer is part of a larger formula, some wonderful combination of individual preference for a beer and just as, or likely much more importantly, one that will fit a particular state of mind. There’s a certain relevant-to-the-moment charm in such a drink. Now, I’ll admit, this all does sound remarkably like the premise for every macro beer ad that’s been produced – well, ever. You know the ones, where a group of buds are sipping on their freshly poured, overly frothy mugs of Buds, and from the looks on their faces, the apparent fun being had, and hell, even the music that is playing in the background, life is just about as peachy as it can possibly ever get. Of course, no such cheesiness really exists. Not even for Bud drinkers. (I think.) Nevertheless, there are certain times when the times are quite good, and that is true for both the macro and the craft drinker. Now, perhaps the typical craft fan can truly enjoy themselves and the company of others while simultaneously brooding over whether the beer at hand is a 3.5 or a 3.25 check-in on Untappd. However, I think (and hope) that if a go-to beer truly exists for most craft drinkers, it is a beer that can be consumed without much discussion or break down over grades or scores, and as a bonus, is one that can be enjoyed without feeling as if any standards have been sacrificed. Of course, for the Bud drinker, it’s unlikely that their thumb is quivering uncontrollably over a quarter cap difference in rating. I think this is all safe to say because for your strictly macro drinker, the whole thing is mostly about the moment and less about the beer, and for the strictly craft drinker, it’s fair to say that there is more of an expectation for the two to meet in the middle somewhere. But give all of this too much thought, however, and you’re wearing away the charm of both the beer – and ultimately, what’s worse, the moment. I’ve always believed that beer is the ultimate social and conversational lubricant, and is certainly one that knows no distinction between types of beer drinkers. So if you can deal with the revelation that you, the likely craft drinker who’s reading this post, shares a similar beer drinking experience with those who are likely to buy strictly Bud – well, congrats. Any over introspection, be it about the moment or the beer – be it a Two Hearted or a Miller High Life – should not be given a second thought. Do so, and you might be missing out on the very act of enjoying beer at one of its most basic, fundamental levels altogether. For example, take a look at the last couple of posts and you’d think that I am very quickly assuming the role of the crotchety old man on his lawn, yelling at the kids as they ride by on their bikes, or in my case, at the beer trucks as they drive by, steadily delivering uninteresting, uninspired beer to the shelves of my local bottle shops. My only question is this. I did have a birthday in October, and I’m not sure why no one gave me a cane to violently wave in the air as I complain about the (beer) world at large. My hopes are still high, though. St. Patrick’s Day is right around the corner, right? It’s a beer related ‘holiday’, anyhow, right? Hun? Spurring me to the edge of my rocking chair are the concerns some have about the overall quality of the craft beer around us. Keeping such a concern afloat are those who seem to readily champion each – and every – release from their local breweries. Skewed by a well intended but soundly misplaced sense of homerism, it’s a train of thought that gives validation to almost every release their local breweries put out. Sliding across the front porch in my slippers, you can hear me grumbling under my breath. I’m not saying your local brewery doesn’t produce anything good. I’m saying that all too often, they’re given a pass simply because you can practically see the brewery from your own front porch. 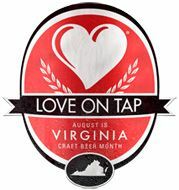 If you truly cared for how your local breweries will do, especially long term, wouldn’t we do better to place the love squarely on the beers that push the taste boundaries – or at least the ones that nudge the outside edge of them – instead of making blanket statements professing one’s endearment for all, or even most, of the beers made by those breweries? Not sure which ones might make the cut? Here’s where having some thick skin, and being open to criticism, can be truly beneficial. Look, I get it. There will always be personal preferences. Sometimes a beer will make it into your own regular rotation that no one else seems to think much of. Subjectivity does come into play. But like it or not, in the world of restaurants, food, drink – and this includes beer, of course – a general consensus stands for something. If they didn’t, beers wouldn’t come and go. There would be no such thing as “overall” ratings on Untappd, BeerAdvocate, and RateBeer, and perhaps no ratings at all. Some will say that every beer has merit. But if every beer was perfectly fine on all levels, or even just on most, there would be absolutely no reason for breweries to improve upon, well, anything. I’m not saying that your local brewery has to put out 4 block long line inducing beers every time out. This may come as a surprise, but I’m not that naive. Surprisingly tasty beer that finds its way into a brewery’s regular rotation is possible. I have posted a few times in the past about these sorts of beers, carefully crafted liquids that can be tasty but also relatively easy to find. Here in Roanoke, Get Bent comes to mind (providing, of course, that it is fresh), or almost anything ‘stout like’ from Williamsburg Alewerks (which are primarily seasonal). I’ll even throw in a lager for the folks who have already decided that “this post is complete b.s.” with a Nooner (or two), and here in Virginia, a Shower Beer or two (It is crushable, at the very least). Are these beers trade bait? Not even close. But are they the stuff of sit on the shelf forever, dust collecting lore? Nope. Instead, they reside somewhere in between, and are living proof that beers which are worthy of acquiring, but are also not difficult to find, do actually happen. The problem is, they just don’t happen often enough. But when they do, I slide back into my chair, all the while enjoying the view from the front porch, and take another sip. And when they don’t, I’ll be waving my new cane around. Oh, and I’d appreciate it if whoever gives me one would at least stick a bow on it when they do.